Slanzi was a Italian small engine manufacturer. They where eventually acquired by the Lombardini group. Slanzi engines are found in 2 stroke form, in the late B5 model (1937), and the 4 stroke – 4 RM18 (20/22 cv), 4 RM 28 (28 cv) tracteurs of the 1962/3 era. 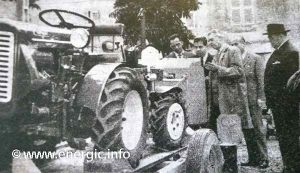 Also in the Energic tracteur 535 DVA 1500 2 cylinder engine 35cv. 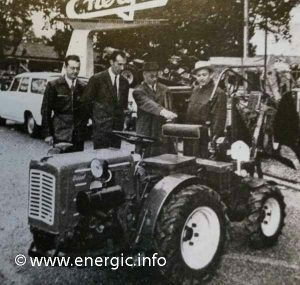 Read more about Energic tracteurs 4RM28 with Slanzi engines/moteurs here. 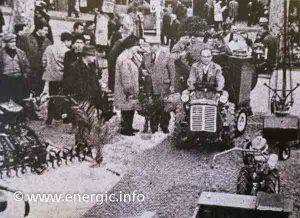 Read more about Energic tracteurs 4RM18 with Slanzi engines/moteurs here.